Integrative Space principles can be applied to any built environment where healing and wholeness is needed. Some of the facilities who have asked me to assist in applying these principles are hospitals where a hundred or more people are employed. Clinics are also an obvious setting where there might less than fifty employees. Sometimes the clinic is owned and operated by one. 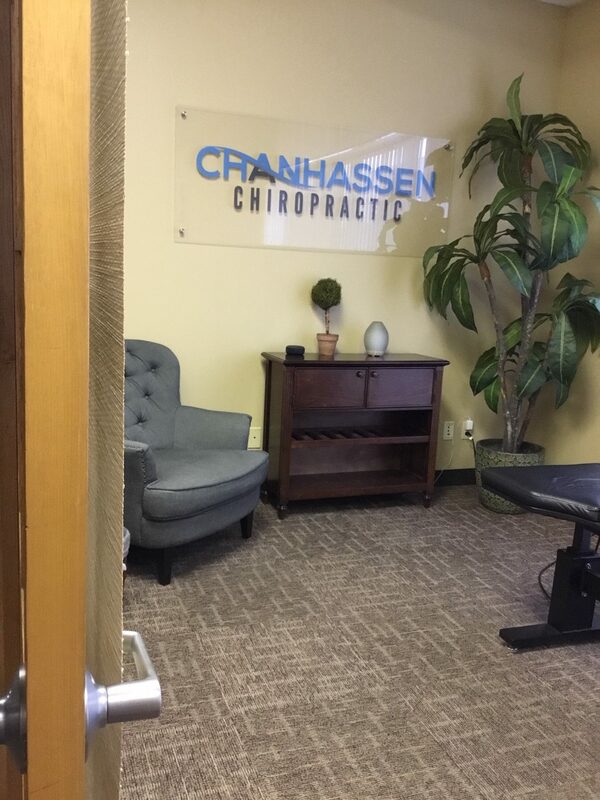 Such is the case with Chanhassen Chiropractic. A Minnesota-based chiropractor, Dr. Brian Gervais wanted a general assessment of his space to assure his patients were having a positive experience when they came for their appointment. Because the waiting area was shared with other healthcare-related practitioners——an area over which Dr. Brian had little authority—-I concentrated on his exam room. 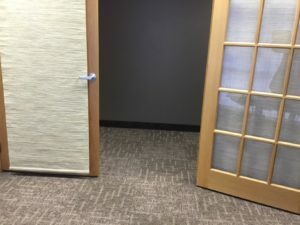 Dr. Brian was in a room with double doors, which he typically left open even when a client was there. Most of the time he was the only practitioner on the premises, so privacy wasn’t an issue. He also thought the room might feel constrictive if he closed both. In our discussion about these doors, I pointed out that patients are always vulnerable. By its very nature, the relationship between patient and doctor is uneven. The doctor is the authority; the patient is the recipient. Just the act of lying down can make the patient feel at a disadvantage. Having two doors wide open to the hallway could add to their vulnerability. He agreed to try using only one door for patient entry and closing it once they were in the room. What happened as a result of such a simple action is that the room took on a whole new (and unexpected) experience for the patient and for Dr. Brian. The door he chose as the entry pointed the patient toward one end of the room. He saw that this presented the opportunity for an aesthetic experience. He brought in a chair, a small chest and a tall plant providing an opportunity for the patient to have their own sense of place. What that also meant is that they were not heading in the direction toward his work area where he had his computer, thereby avoiding any violation of HIPPA regulations. In effect, the patient knew where they belonged which provided them with a feeling of authority and control. And healing can begin before their session starts. Of course, we discussed other Integrative Space approaches. Dr. Brian was familiar with the 5 Chinese Elements which we carefully analyzed. We talked about the positive impact of de-cluttering, and the misalignment of the exam table under an uneven ceiling. Although all the suggestions were important and valid and eventually addressed. We both agreed that at the end of it all, creating a space that integrated the thoughtful message of feeling empowered made the biggest difference for his patients. Sometimes the smallest shift brings about the biggest return.